"Gore Vidal, the elegant, acerbic all-around man of letters who presided with a certain relish over what he declared to be the end of American civilization, died on Tuesday at his home in the Hollywood Hills section of Los Angeles, where he moved in 2003, after years of living in Ravello, Italy. He was 86." Recently we drove Interstate-10 from Baton Rouge to New Orleans looking for the neutral ground dividing the north/south lanes of this busy super-highway (we called them that before they became more taxing than super). "Neutral ground" is what people from New Orleans call the median. It is where commuter-train service would have been built. bulls they came for us." "Had Governor Lapdog Millionaire taken Obama's stimulus money to build it," L. A. Norma said. Norma thinks Governor Bobby Jindal is a lapdog to the Republican National Committee and its right-wing no-service-to-the-people style of government. 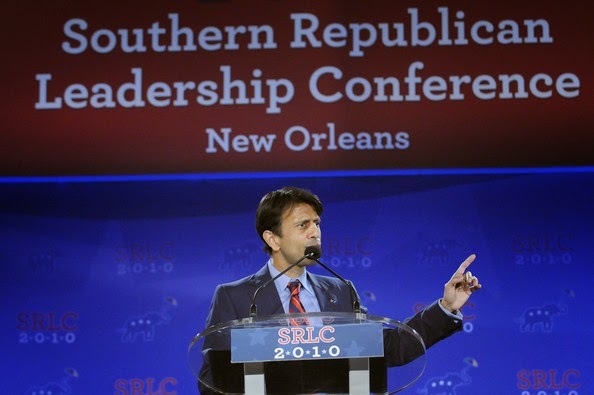 "They thwart recovery, transportation, economic-development, health-care, libraries and schools to prove Jindal is fit to be the Mitt's V. P., and," she adds, with a smirk, "tickle their 'liberal-wing' into feeling they are tolerant souls." Jindal is of Indian lineage. Indian from India. He is small-framed, nice-looking, with skin a light shade of Café au lait. His Family is Hindu, but while in college he converted from Hinduism to Roman Catholicism. "No one ever asks to see his birth certification," Norma grumbled. "The man behaves himself in public but he would not be governor if he did not pray to the Catholic six-armed Holy Trinity." She laughed aloud, blowing Camel Cigarette smoke out the roof-top window and glaring at the heavens: "Don't even think of striking me down! You remember Jesus, the Holy Ghost, and God-the-Father?" she asked. "Total arm-count, at least six!" That moment arrived when the road curved up and swooped onto a swamp-ridge that gave us our first breathtaking view of the Sea surrounding New Orleans. "You could see the Sea from a train," Norma said, "instead of I-10's white-lines." Our driver spoke, "If only Lapdog didn't so want to live in Washington." After World War II, New Orleans shakers and builders turned their backs on ancient Sea wisdom. The G. I. Bill was stimulating our post-war boom with liberal, repayable mortgages for the soldiers marching home. And those Johnny and Sallys were welcomed by new bankers in new neighborhoods built on land drained -- but still below Sea level. "Seemed so far away," an old-timer from the Lower Garden District once told us. "Used to be our relatives were next door. Then they moved out to The Lake, and then clean out'a the parish." We collectively forgot this water is one of the inlets off the Gulf of Mexico. Though New Orleanians call these inlets lakes, e. g., Lake Pontchartrain, they are not. The Sea nudged back closer on August 29, 2005, when we were reminded that French maps originally referred to our Paris of The Swamps as, "Île de la Nouvelle-Orléans" (Island of New Orleans). "After Katrina," the old Uptown-er told us, "family members were scattered all over the U. S. of A." A lot of our past seven years were spent on trains and buses between Lafayette and New Orleans. Fun. And getting our head around the change. The train named The City of New Orleans hove in to view on the other side of the Interstate. It rolled across the Bonnet Carré Spillway looking very all-American plucky. Seven little coaches on their way to Chicago. Maybe carrying some new Satchmo. Moving on. We left for the Evacuation of '05 with The Storm licking at our heels. All the roads out of Town were closed but the one that turned out to be Katrina's exact pathway. Had we known at the time we might have froze like a faulty computer and died right there, like a lost-document. But we didn't, and come July 2012, we won second-place sash at the New Orleans' Fulton Street, Hemingway Running-of-the-Bulls looking-alike party. Norma asked if the sash was for looking like Hemingway or the bulls. We might not make Papa Hemingway proud, but we wear the sash obese-ly and proudly. And, "No, we do not want to fight." "First we came for the bulls, then the bulls they came for us," L. A. Norma said. The sangria ran in purple veins down her arm. She held the wine glass over her head. It was a good head. Camel Cigarette smoke wafted from it. It was good smoke. . .